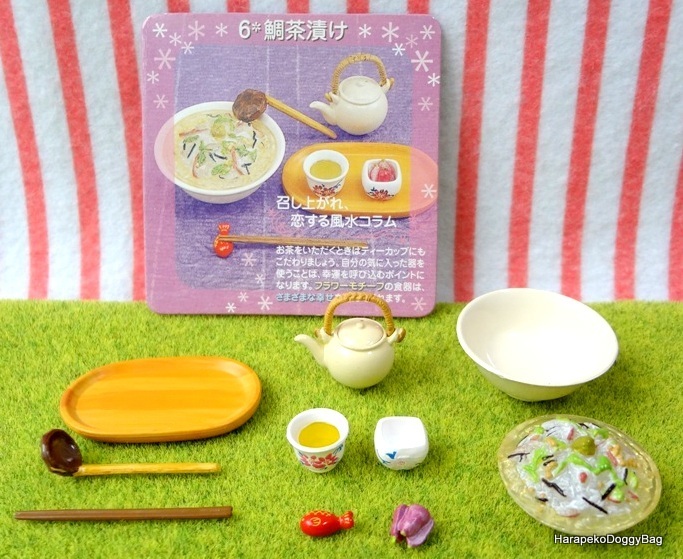 Here is #6 from the Re-ment "Japanese Seasonal Food" series from 2006. The back of the info card has a design that can be used as a placemat for the meal set. 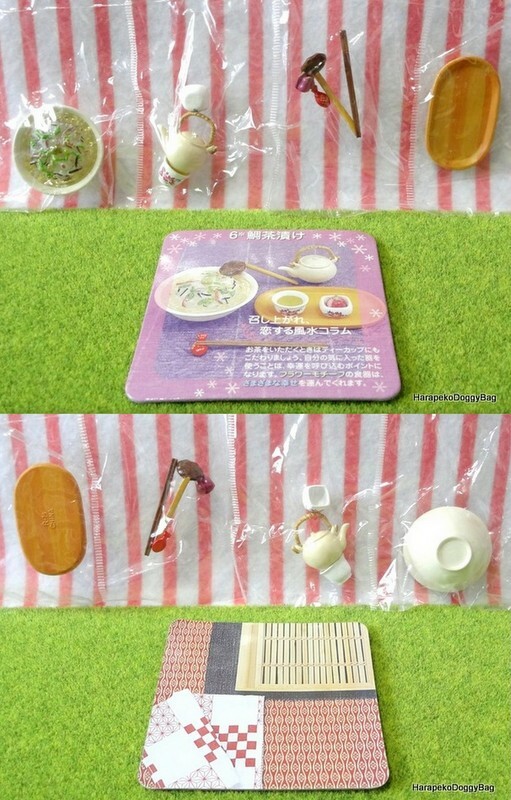 Keywords: Re-ment, Rement, Japanese Toys, Miniatures, Dollhouse, Doll House, Puchi, Mini, Kawaii, Cute, Japanese Seasonal Food, Salmon Ochasuke, Rice, Tsukemono, Green Tea, Teapot, Chopsticks, Spoon, Serving Tray, Chopstick Rest, Hashioki.